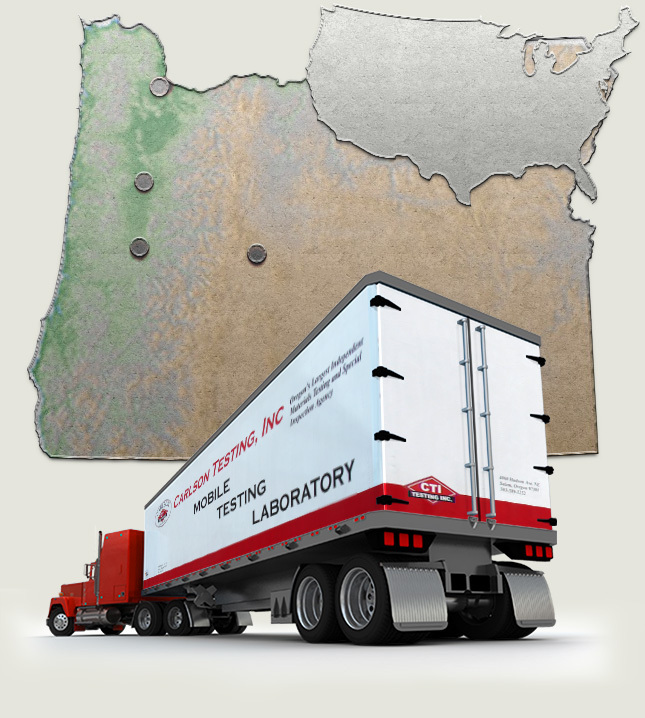 Carlson Testing's Main and Geotechnical offices are located in Tigard, Oregon with branch offices in Salem, Bend and Eugene, Oregon. Have mobile labs, will travel. Carlson has seven fully equipped mobile laboratories to serve on your ODOT, FAA, U.S. Army Corps of Engineers, and other remote projects. These facilities are capable of performing a wide range of soils, concrete, and asphalt related tests. If you are not close to one of our permanent facilities, these traveling laboratories will fulfill your testing requirements and save costs by reducing unwanted travel expenses.